You are here: Home / Scrappy / BBQ Thanks !!! Hello Dr. Digi fans !!!! It’s Crystal here and today I made a Thank you card using BBQ Bill, recently we made a trip to Mississippi to visit a crafty friend of mine and while we were there her husband Richie made the best BBQ to feed us some amazing meals and for this I wanted to make a great guy card and BBQ Bill was the perfect image to make my card . Doctor Digi House of Stamps and so many great images and I can always for one to fit a card I need to make and they are so fun to color , for my image today I copic colored him . 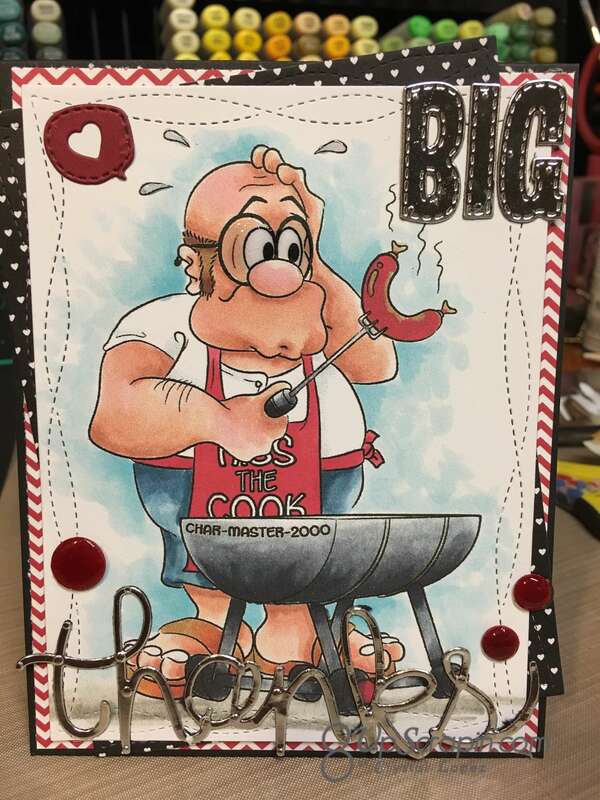 I cut the words Big and Thanks from Silver mirror board , I added glossy accents to his eye glasses and his sweat beads , I added spectrum noir glitter pen to the image on the grill and grill fork , and then added my home-made enamel dots . 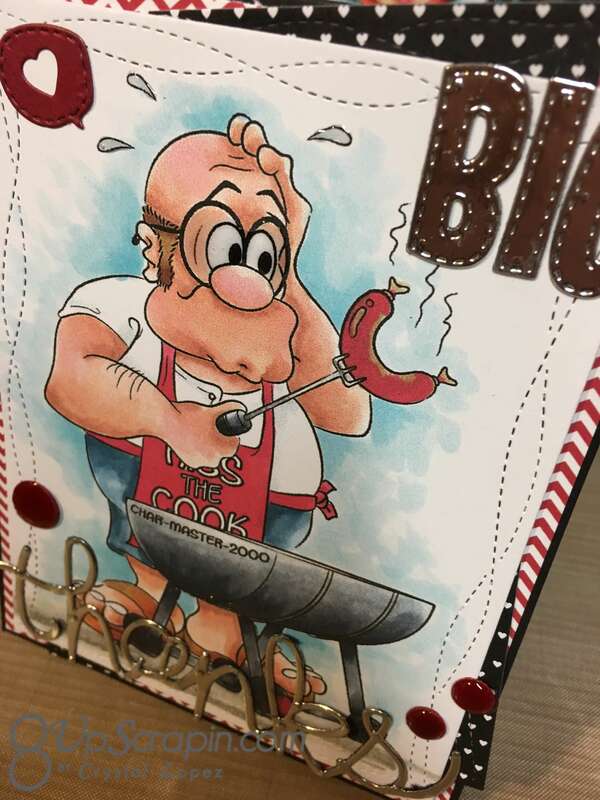 I hope you will stop by Doctor Digi’s House of Stamps and check out his images , I am sure you will find some great images for your next card .